Modern cruise ships provide unrivalled facilities for families with young children, making them the perfect choice for over-stressed parents. Getting there is not always so straightforward. “Good luck”. I had lost count of how many times these two seemingly innocent words were muttered in the lead-up to the big day. Suddenly we were there, at the entrance to Heathrow Airport’s Terminal 5 about to board a nine-hour flight to Miami. Two dishevelled parents and one over-excited 22-month-old boy. The problem with flying on the world’s largest passenger airliner is that there are potentially more people to annoy, especially on such a quiet aircraft. Foreseeing trouble in the skies I reserved a row of three seats tucked away at the very rear of the British Airways Airbus A380. Piercing screams began as soon as we sat down as we discovered he disliked wearing a seatbelt. Our hearts sank further when we were gifted an unwanted extra hour sitting on the tarmac, thanks to a mechanical fault with a tug truck. The 10 hours were incredibly long, as if time had slowed to a snail’s pace. Opting to buy a seat for him instead of having him sitting on our laps the entire journey paid dividends when sporadic bursts of energy led to races between Mum and Dad. The roomy aircraft interior meant he could stand up on our laps and observe the crew and our surprisingly sympathetic fellow passengers without causing a nuisance. Carnival’s marketing slogan is ‘Switch on Fun’ and by the time we reached the Port of Miami we were desperate to find the big red switch. Sadly, the loud music resonating around the check-in hall could not mask the sombre mood of a sea of passengers waiting for an agent. The hour-long experience with a cranky toddler was as far removed from fun as could be. But once registered, a swipe of our Sail & Sign cards changed the mood instantly and we stepped aboard Carnival Breeze. The shackles of daily life fell off at the quayside as we slipped into ‘vacation’ mode. 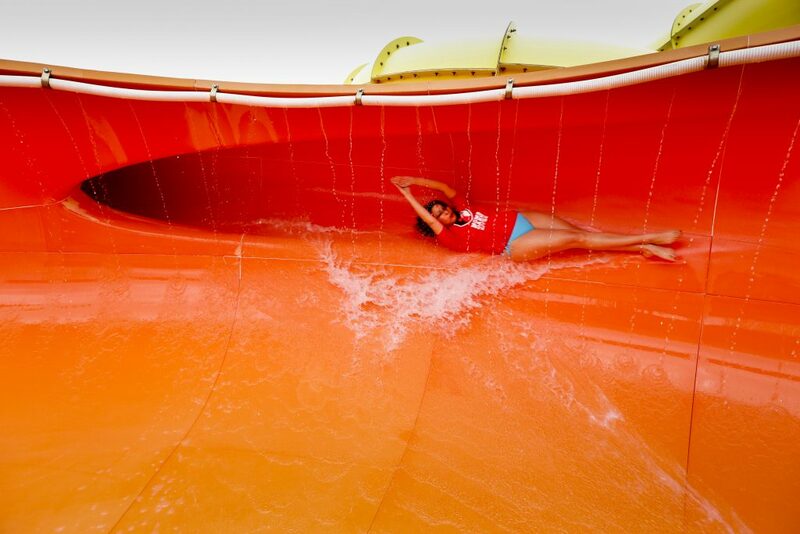 Carnival is an American-style cruise line and the Americans certainly know how to relax and have fun en route to the tropical Eastern Caribbean. Britain was never far away with the exuberant Scotsman Wee Jimmy in charge of the entertainment. We Brits love a good queue but even we weren’t prepared for the 50-deep lines that formed at peak times for two of the ship’s most popular dining outlets: Fat Jimmy’s C-Side BBQ and American celebrity chef Guy Fieri’s Guy’s Burger Joint. It was very clear to see that Carnival is geared towards families, with more than 700,000 children carried each year. Our cabin stewards, both with their own infants at home, adopted our son for the voyage, always taking time out to interact with him, as did the restaurant waiters. The Dr Seuss-themed entertainment aboard was enjoyed by kids and adults alike. While Carnival Breeze lacked a Seuss-themed Bookville library it did boast a themed parade, storytelling event, and a wacky character breakfast where vivid coloured food was served while the familiar characters posed for photographs. There was much for a curious boy to explore around the ship. He was two months too young to enrol at the Camp Carnival kids club, but the team hosted parent-accompanied play sessions where he could tire himself out. US Department of Health regulations forbid infants in swim nappies to use the pool and the Waterworks splash park but he still enjoyed watching the older kids play around, no doubt dreaming about the fun he can have when he next sails with Carnival. The promenade became a giant race track for little legs and spotting the many cruise and cargo ships ships that sailed in close proximity became an addictive game. He won. 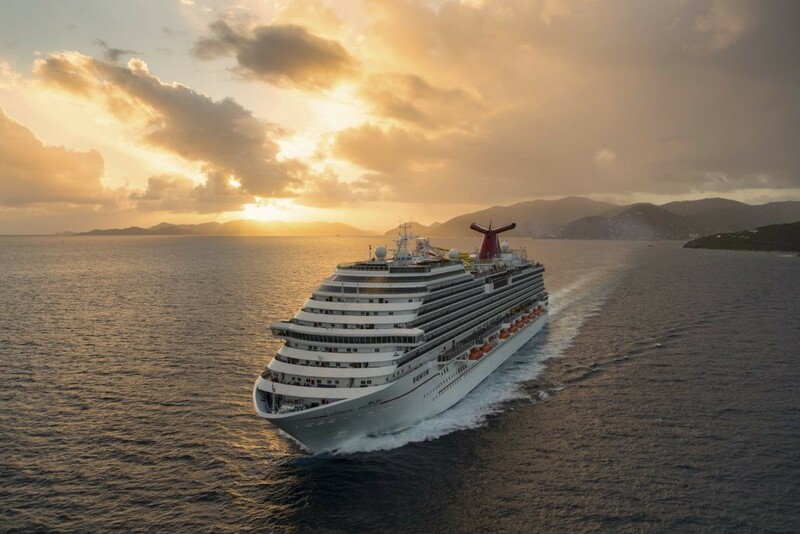 Carnival offers plenty of fun shore excursions for families in the Caribbean but most of those suitable for a two-year-old were sightseeing coach tours or ‘private’ beach transfers. We opted to go it alone; living on toddler time with bite-sized chunks of exploration interweaved with downtime in the cool shade aboard the ship. The picture-perfect paradise of Grand Turk greeted us to the Caribbean along with cloudless skies and temperatures of 30°C. The cruise pier cut through a golden sandy beach so within minutes we were paddling in the shimmering turquoise tinted waters. In San Juan, Puerto Rico, we unpacked the pushchair and toured the Spanish colonial buildings and imposing fortresses of the old city. Basseterre in St Kitts was a disappointment, plagued with pressureselling diamond merchants and tacky gift shops. In hindsight a shore excursion would have been the best way explore this island. In St Maarten there was only one sensible option open to a family with a boy obsessed with aircraft – a visit to the Maho Beach, nestled at the end of the runway at Princess Juliana International Airport. The exhilaration of seeing aircraft of all shapes and sizes pass overhead every 15 minutes was only surpassed by the deep roar of the jet engines on a Boeing 737 during take-off. Relaxation on a family holiday with a toddler was difficult to find but the sanctuary of the cabin’s balcony helped facilitate downtime, even if only in short bursts. The Cloud 9 Spa was serene and its bubbling Thalassotherapy Pool was inviting. Babysitting services were available after 10pm for a fee but we found the long hot days together with plenty of exercise tired him out enough that he fell asleep during the glitzy evening production shows. The flights may have been long, tiring and stressful but our Carnival Caribbean cruise was the perfect antidote. 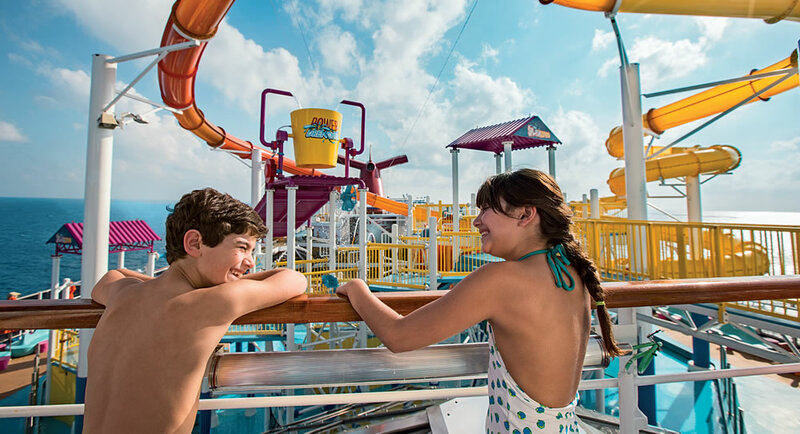 The great value, fun loving American cruise line perfectly caters for families with children of all ages, including infants and toddlers. Friendly crew, plentiful food, Seuss-themed activities and quality entertainment together with mostly fabulous ports of call easily masked the ordeal of getting to Miami.